Congratulations! You’ve earned your scuba certification. Now it’s time to get in the water and use it. Whether you dive a nearby lake or quarry or venture into ocean waters, the best way to hone your newly acquired scuba skills is to dive, dive, dive and then dive some more. As your instructor undoubtedly cautioned, becoming certified is only the first step in becoming a competent, well-rounded scuba diver. Hopefully you’ve had the opportunity after completing the entry-level scuba certification course (i.e., Open Water, Scuba Diver) to revisit the venue where you did your open-water completion dives, or a similar site, and apply what you’ve learned. It’s important to use basic scuba skills regularly, especially for new divers. Even those with more scuba experience should take the time to practice those seldom-used “just in case things don’t go as expected” skills. Regular diving solidifies good habits and develops confidence as an independent diver. But what do you do if you are among the many newly certified divers who, unfortunately, don’t feel comfortable venturing out with just a buddy? Perhaps you’re anxious about your ability to perform skills that you were uncomfortable with during basic training. Circumstances may have kept you out of the water for a while and you’re not certain you’ll remember everything correctly when you next take the plunge. Lack of confidence is one of the biggest reasons why novices don’t continue to dive despite really wanting to. Or maybe you’d like to expand your scuba adventures to additional types of diving; take a trip to a tropical destination, explore Great Lakes shipwrecks or capture images of your underwater exploits. The range of diving opportunities extends well beyond what is possible to absorb in an entry-level scuba class. Since your practical diving experience is limited to sites similar to those at which you trained, knowing how to handle unfamiliar situations and being properly equipped to do so is a relevant concern. There are several ways to handle these dilemmas. One is to just start diving and muddle through, learning from your mistakes as you go. This trial-and-error approach to becoming a comfortable, confident diver can take a long time and produce less than satisfactory results, especially if you don’t have a regular buddy or your buddy is also a new diver. A second possibility is to buddy up with a more experienced diver who can introduce you to new diving situations. With this option you must trust that your buddy possesses the necessary skills for a chosen diving situation, can communicate them to you and is willing to take responsibility for your safety as well as his or hers. It may also relegate you to a dependent position, rather than developing confidence that you know what you are doing and can take care of yourself and your buddy, if necessary. A third alternative is to advance your diving knowledge and skills and build confidence by enrolling in continuing-education scuba courses. The advantages are many. Like the basic certification course, higher-level courses are taught by a qualified scuba professional — in most cases an instructor — according to the standards and educationally validated techniques of a major scuba training agency. At the beginning of a course the instructor will review your basic skills and knowledge. If you need help with a skill or concept, you’ll be brought up to speed. The course content will include everything you need to know to safely get started in that specific type of scuba diving. Water work is done in a controlled setting suitable for the subject matter; students are supervised and appropriate safety equipment used. In addition to learning skills specific to a particular diving activity, you have the opportunity to meet and share experiences with classmates who have different backgrounds and levels of experience, and often get to dive new environments. You may meet someone in the class who will become your regular dive buddy. Once the coursework is successfully completed, you’ll receive a certification card that recognizes and documents your accomplishment. Best of all, scuba training agency curriculums include a course for just about every aspect of diving that you can imagine. Individual dive centers offer standardized advanced training, plus specialty courses pertaining to the type of diving available in their area. Or you can complete a continuing-education course while traveling on a dive vacation. Whether you wish to increase your confidence, enhance your skills in certain areas, investigate new types of diving or progress all the way to leadership level, regular diving along with formalized scuba educational courses are the smart combination. Before discussing the myriad choices for you to progress toward becoming a well-rounded diver, it’s important to understand that each dive center is affiliated with one or more scuba training agencies, for instance, NAUI (National Association of Underwater Instructors, www.naui.org), PADI (Professional Association of Diving Instructors, www.padi.com) or SSI (Scuba Schools International, www.divessi.com), to name just a few. Although certifications are issued by the particular agency for which your scuba instructor teaches, most certifications are universally accepted. This is because the recreational scuba industry has established voluntary standards not only for entry-level training, but for many continuing-education courses as well, including the professional levels. Although they differ in approach and course organization, the curriculums of all major international training agencies meet or exceed these standards. Because each scuba training agency develops its own curriculum, it is not practical to discuss course details. Instead, continuing-education courses can be roughly divided into overview courses, specialty courses, recognition levels, technical courses and the leadership track. Called by a variety of names, usually including the word “Advanced” or “Adventure,” these courses are the next logical step after entry-level certification. Recognizing the need to help new divers expand their comfort zone, scuba training agencies designed the first level of continuing-education courses as an overview of a variety of diving environments and specialties that are beyond the scope of the entry-level course. Regardless of interagency differences, all overview courses serve the same purposes. Under the supervision of a scuba professional, novices and experienced divers can further hone basic scuba skills and increase confidence. They also receive a practical introduction to diving situations that require skills and equipment beyond the basics. Depending on the agency, they incorporate five to 10 open-water dives, each with a different theme. Required, or core, dives include underwater navigation, deep and sometimes night diving. Students choose the rest of the dives from a list of electives offered by the instructor. Typical elective dives include search and recovery, underwater photography or video, boat diving, altitude diving, drift diving and environmental awareness. Each dive is preceded by a knowledge development module in written, video/DVD or online format, plus augmentation by the instructor. As mentioned previously, the supervised dives include a review and practice of basic skills. Overview courses can also provide a local orientation to a new region, for instance after a move inland from a coastal area. The single dive that introduces each theme generally counts toward that specialty certification should a student decide he’d like to learn more about that subject. Specialty courses are designed to provide an in-depth learning experience in a particular aspect of scuba (see sidebar). They both strengthen existing skills and broaden the range of scuba activities in which a student can safely and enjoyably engage. On completion of a particular specialty, you should have gained enough knowledge and skill in that area to safely begin diving without the supervision of an instructor provided you use appropriate equipment and dive within the bounds of your training. For instance, in a typical Deep Diver course, the first dive of the four-dive course is the same as in the overview course — a supervised first-time experience in the unfamiliar range beyond 60-foot (18 m) depth. During the remaining dives you’ll do exercises that simulate the potential effects of increased depth and pressure, such as loss of color across the spectrum, decreased mental functioning and greater rate of air consumption. A scuba instructor authorized to teach the Deep Diver specialty directly supervises all dives; however, students take on planning and execution as they gain competence. The academics cover the hazards inherent in deep diving and how to minimize risk factors through proper choice of equipment, thorough dive planning and self-assessment. Emergency decompression techniques, breathing gas management and flying after diving are also covered. In addition to dozens of standard specialties, many agencies allow instructors to develop and grant certifications in their own personally designed specialty courses, subject to approval of the training department of that agency. If you want to collect old bottles, dive the Arctic or even scuba in a public aquarium, there is a specialty course that will teach you how. It’s difficult to discuss standards for specialty courses, since the content is so varied. Classroom or self-study knowledge development is an integral part of these learning experiences, and some form of testing is used to confirm that the desired teaching goals have been met. 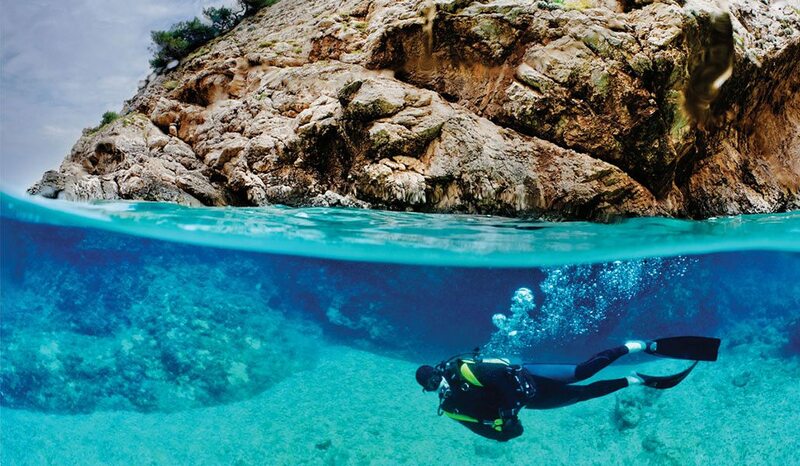 The number of open-water dives varies from two to six or more, and confined-water sessions are often not required. A few specialties, such as Equipment Service and Oxygen Provider, don’t involve in-water time. Courses differ in their prerequisites depending on the agency and the nature of the course content. For instance, you can enroll in Underwater Photographer, Underwater Navigation and Reef Ecology with an entry-level certification. Cavern Diver, Deep Diver, and Search and Recovery Diver typically require the next level of training (Advanced or Adventure) and possibly rescue/CPR as well. The minimum age for enrollment also varies by specialty. Although this course is considered a specialty by training agencies, it warrants special mention. Many divers, especially those of small stature, shy away from taking a rescue course because they don’t believe they would be physically capable of assisting another diver or because they believe they will never need it since they dive with a stronger buddy or prefer guided dives. These misconceptions prevent divers from enrolling in what is probably the most important course they can complete beyond the entry level. Scuba rescue courses could be more accurately called “Prevention and Rescue,” since they stress recognizing and dealing with difficulties before they escalate into emergencies. In a diver rescue course you’ll learn techniques for dealing with most types of diving-related problems, but just as crucial, you’ll gain the confidence that no matter what your size, strength or age, you are capable of acting appropriately and successfully to assist both yourself and your buddy. Specifics of dive rescue courses vary considerably among agencies, so it’s best to consult your local dive center for details of the rescue course that they offer. Typically topics include recognizing and reducing stress, assessing problems and determining the most effective way to handle them. You’ll also learn how to lend assistance safely. Most agencies require diving experience equivalent to their advanced/adventure certification or 15-20 logged dives in various diving situations (i.e., night, deep, navigation). The purpose of these prerequisites is primarily to ensure a reasonable level of comfort on scuba gear. Both confined- and open-water sessions may be included. Training in cardiopulmonary resuscitation (CPR) is required before receiving a Rescue Diver certification. CPR is a lifesaving skill that every diver (in fact, every adult) should be familiar with, regardless of whether he or she completes a rescue class. Scuba training agencies either offer their own CPR module as part of the rescue course or rely on standard CPR certification classes offered by organizations such as the American Heart Association and the American Red Cross. Recognition programs are offered by scuba training agencies to encourage divers to expand their knowledge and skills by acknowledging significant training and experience in a range of diving situations. Programs differ greatly by agency, but often include the word “Master” in the title, indicating that the recipient has indeed achieved mastery in a variety of recreational scuba activities. The NAUI Master Scuba Diver course, for instance, consists of eight academic/dive modules, five of them in specified activities. Scuba Schools International (SSI) offers a series of recognition levels culminating in Master Diver. This rating requires completion of four specialty courses and diver rescue plus 50 logged dives. Recognition certifications do not entitle or require the holder to serve in any professional capacity, but identify him as a recreational diver with a high skill level and broad experience. Still considered within the realm of recreational diving, the technical (tech or rec/tech), syllabus prepares students to dive safely in situations that go beyond the standard limits, equipment and techniques of recreational diving. It may involve depths below 130 feet (39 m) or overhead environments, either physical as in cave or penetration wreck diving, or physiological as in stage decompression. Technical divers frequently use mixed breathing gases rather than air, either to increase the safe maximum depth or to shorten the length of mandatory decompression stops. Excellent recreational diving skills and comfort in the water are necessary for technical diving. Most types of technical training require from 50 to 250 logged dives. In addition to overview and rescue/first aid courses, certain standard specialty courses serve as prerequisites to advancement into technical diving. Cavern and Cave diving specialties are a prelude to technical cave training; deep diving prepares divers to enter extended range/stage decompression courses. A Nitrox (EANx) specialty lays the groundwork for learning to appropriately and safely mix and use various breathing gases. Dry suit use, advanced underwater navigation techniques, rebreather use, limited-visibility diving, etc., are also valuable courses for prospective tech divers. Above-average physical fitness and a mature attitude also affect a student’s qualification for entry into technical training. In addition to the standard recreational scuba setup, tech diving requires extra equipment such as a separate air source with regulator and submersible pressure gauge for each gas cylinder. Depending on the type of technical dive, lines, reels, lift bags, and duplicate buoyancy compensators and lights may also be necessary. Technical diving carries an increased level of inherent risk. Therefore, the training emphasizes managing those risks to an acceptable level for recreational divers. Extensive practice is conducted in confined water on all relevant skills before students move to open water and technical diving environments. The number of open-water dives required ranges from four in an entry-level technical course to eight or more for higher levels. Close supervision is standard; however, students must demonstrate self-sufficiency by planning and executing training dives to a level of mastery. Scuba leadership is not for everyone. But for those who love diving and have the desire and personality to share their passion and commitment with others, or just want to advance their skills and knowledge to a professional level, leadership training is the path to fulfillment. Regardless of the scuba training agency, those seeking leadership training must be certified in diver rescue, including first aid and CPR, pass a physical exam and have experience in a variety of scuba diving activities, with a minimum number of logged dives. Curriculums differ by scuba training agency but, in general, divers train as divemasters (or equivalent) and/or assistant instructors as a prerequisite to enrolling in an instructor course. Scuba instructors, in turn, may further qualify to teach specialties and advanced courses and eventually to train new instructors. The duties of a divemaster include organizing and conducting dives with certified divers, but they may also conduct experience programs for certified divers and nondivers (e.g., snorkeling). They act as certified assistants for instructors and guide Open Water students on the tour portion of training dives. Divemaster training is quite thorough — in excess of 40 hours of academic and in-water training. One option is an internship, during which the candidate assists an instructor with lower-level classes. The academic segment, which develops the candidate’s knowledge to instructor level, may be accomplished through a mixture of self-study (online or DVD), classroom sessions and written exams. Many recreational divers pursue divemaster training to enhance their personal scuba skills. The Assistant Instructor (AI) rating is a direct step on the path to instructor training. The prerequisites are generally similar to divemaster courses and they are qualified to perform many of the same duties. Depending on the agency, assistant instructors also may be authorized to certify students in such courses as skin diver and nondiving specialties, and to teach portions of Open Water courses. AI training develops instructor-level knowledge and demonstration-quality water skills, placing practical emphasis on learning how to teach scuba effectively according to the methods and philosophy of the particular certification agency. Scuba instructors are qualified to perform all teaching duties, including planning and conducting classes, supervising in-water sessions, and evaluating and certifying students at recreational levels. Candidates must have a minimum number of dives, ranging from 60 to 100, plus divemaster and/or assistant instructor ratings. They are expected to enter instructor training with professional-level knowledge of scuba theory and superior personal water skills. 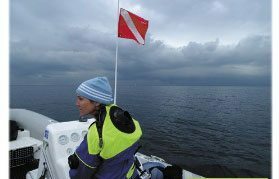 Instructor training involves as many as 90 hours of academic preparation as well as in-water teaching practice and lasts a minimum of two to three weeks when completed full time. Coursework focuses on learning to conduct training sessions and present information effectively. For example, candidates must develop and deliver short lectures on Open Water subjects, teach basic scuba skills to volunteer “students” and demonstrate their ability to control a class in the water. Coursework may also include instruction on the business end of teaching scuba, such as organizing, scheduling and marketing courses, handling finances, and legal considerations. Evaluation of skills and knowledge takes place throughout the course, at the end, or in a separate two- to three-day session. Beyond the initial instructor level, scuba certification agencies offer recognition levels for qualifying to teach five or more specialties and for certifying a prescribed number of divers at various levels. Individuals can further advance to assisting in and eventually conducting instructor training. The majority of scuba professionals work part-time for the love of scuba as well as the extra income, but many find leadership a fulfilling lifetime career. Continuing your scuba education makes sense. It allows you to effectively and safely perfect existing skills and develop new ones. You’ll expand the horizons of your diving world and perhaps unlock a fresh passion, or even a new career. You’ll become a better all-around diver — both in and out of the water.